March 5, 2013 Daniel G.
Basements are often both out of sight and out of mind. Yet a refurbished basement provides an excellent way for homeowners to add square footage while utilizing space that would otherwise merely sit idle. How do you transform a basement? We've pulled together a great selection of ideas to save you time, energy and money in your quest to transform your basement into a useful room. Define what you want the space to become. 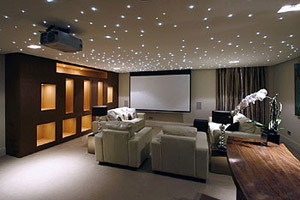 When transforming your basement, first consider: Do you want a media room, a game room, a home office, a bedroom? An exercise room or home gym may only require adequate lighting, electrical outlets and ample space to place equipment. But a spare bedroom may need drywall on concrete walls, new flooring, better lighting and aesthetic touches to make it a livable - and enjoyable - space. Plan ahead to save money and time on the back end. Purge and store. You will need to go through boxes and storage items and purge them from your basement. For items you plan to keep, find a better place for them immediately. Items you only use occasionally, such as holiday decorations and seasonal items could be stored in shelving, cabinetry, or creative storage solutions that look aesthetically pleasing. Ensure that your basement is safe. If your basement is being converted into a living space, inspect it closely. Many basements have water infiltration through concrete walls or floor. Cracks in the foundation can be caused from the house settling or a more serious problem like broken plumbing pipes or adjacent tree roots. For your peace of mind, consider hiring a general contractor or home inspector to look at your basement before you start renovations. Any problems should be fixed thoroughly by a reputable contractor before moving on. Convert your space. Can you picture what you want it to look like? Find inspiration from interior design magazines and other basement remodels to see what the possibilities can be for your space. Ask home improvement store personnel for advice if you plan to do all of the work yourself. If you're hiring a contractor, explain in detail what you want, with pictures if possible. When converting your space, ensure there is proper air and heating. 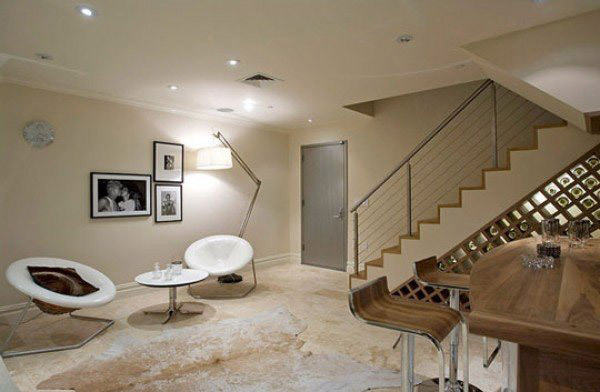 Basements tend to stay cold if they are underground, therefore air conditioning may not be needed in some homes. Ensure that electrical and plumbing meets code as well. 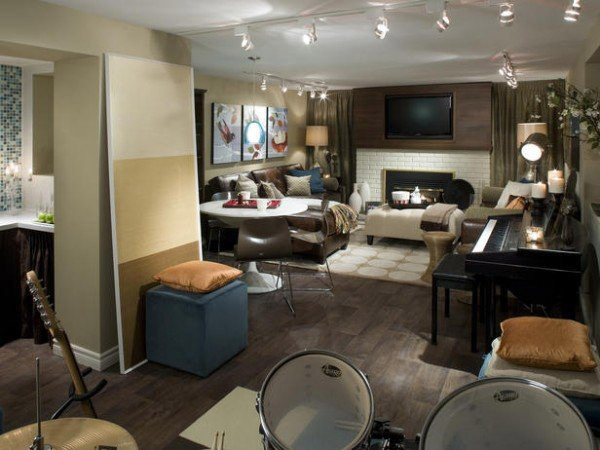 Basement models give you the ability to add on square footage and add value to your home with any radical changes. An extra room means more flexibility for your family and a higher return on investment when the time comes to sell your home. Meanwhile, enjoy your useful, renovated basement.